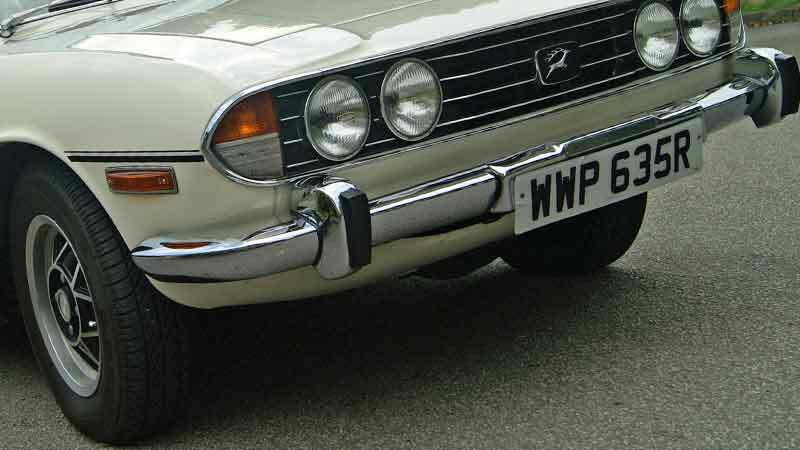 Why hire a Triumph Stag? A Triumph Stag hire gives you the opportunity to drive one of the few convertible classic sports cars that seats four people. 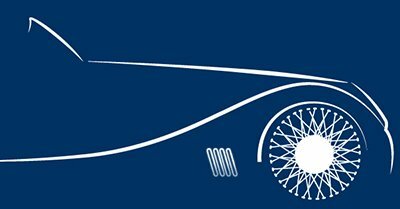 It is a comfortable, refined and well appointed sports car. Ideal for touring Yorkshire with family or friends. This exotically styled, luxury sports cruiser will make an impression wherever you go. It has a smooth V8 soundtrack to compliment the top-down, wind in the hair driving experience. It also has an optional hard top for additional weather protection. The Triumph Stag is a car that rekindles fond memories of the bygone era of the 1970s British sports car. 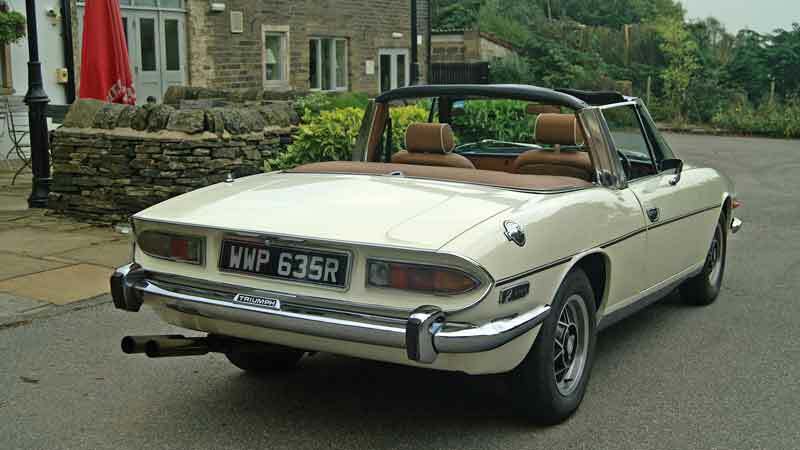 If you are thinking of buying one, a Triumph Stag hire in Yorkshire gives you a chance to try before you buy. If you want an unusual self-drive classic wedding sports car that seats four, this is the one. Our good looking Stag is white and has a tan leather interior with white piping. It has a 3 litre V8 engine and, like most of the Stags produced, a three speed automatic gearbox. It also features power assisted steering, electric windows and a soft top which folds down completely and disappears behind the rear seats. Early Triumph Stags had a reputation for unreliability, but those still on the road today have generally benefitted from a lot of TLC. 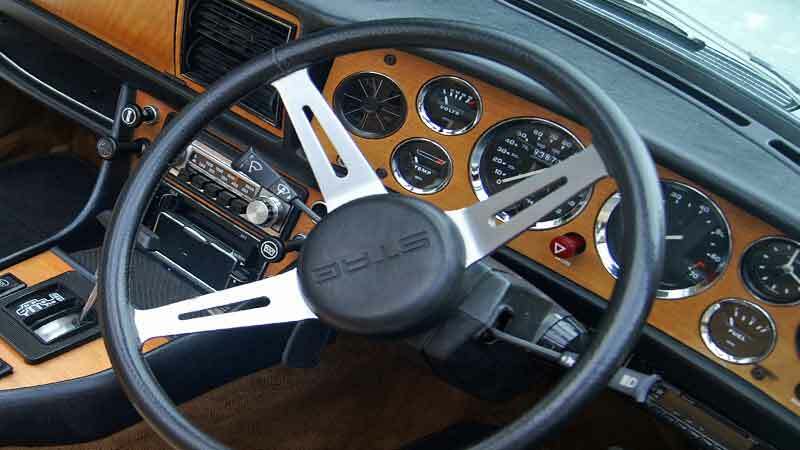 None the least this 1976 model, one of the later cars, which has had no reliability issues during its current ten year ownership. 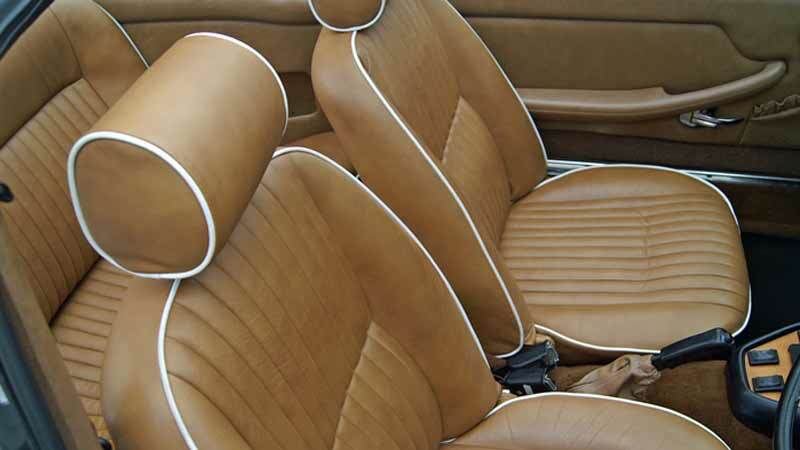 The sports car conforms to original specification, but has been enhanced by leather upholstery – the factory standard was vinyl. In summary, the Triumph Stag is a stylish British V8 Sports cruiser for the country lanes.Triumph Stag Hire from Classic Car Hire North. Average size boot big enough for a medium suitcase. But if there are only 2 people in the car there are 2 back seats which can be used for for extra luggage. 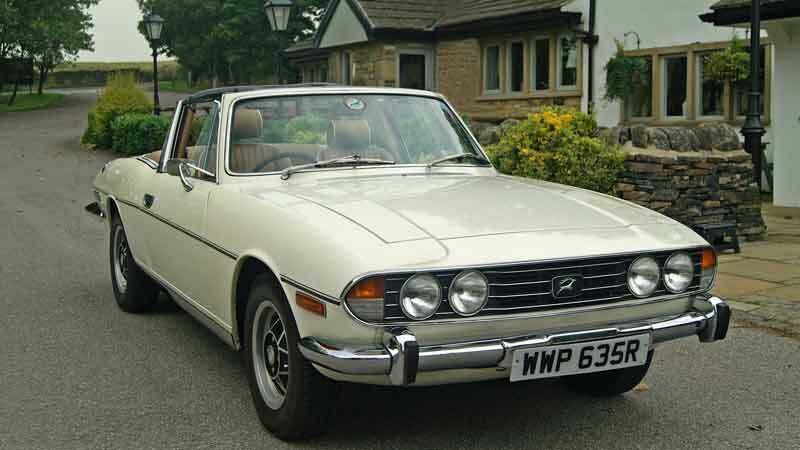 Our Triumph Stag hire car is available for collection in Leeds, West Yorkshire. Our location is within easy reach of all the major towns and cities in the north of England. We are in an ideal location for Triumph Stag Hire Bradford, Huddersfield, Wakefield, and Harrogate. For Triumph Stag hire Hull, Rotherham, Doncaster and Sheffield, you don’t have too far to travel either. 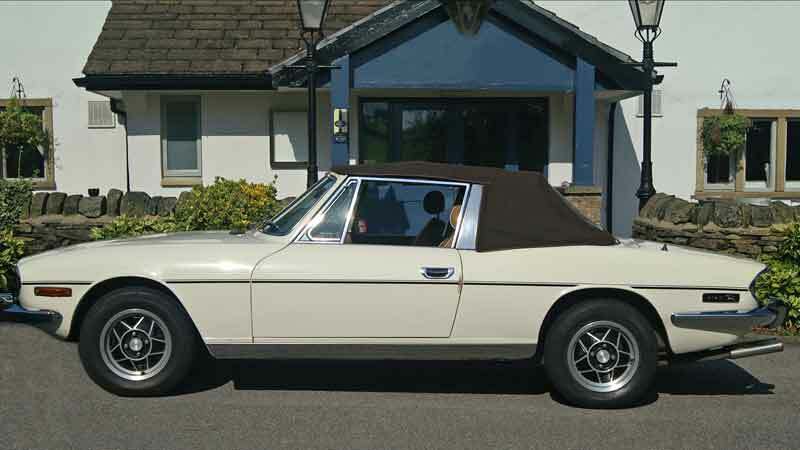 York Triumph Stag hire is within about an hour’s drive of our Leeds base. As are most of the towns in South Yorkshire and North Yorkshire via the M1 or A1(M). Once you’ve collected it you can drive our Triumph Stag hire car anywhere in the UK subject to our terms and conditions. This package is tailor made for proms. As long as you are not going too far, this package should suit you perfectly. You can collect the car on the evening of the prom and return it the morning after.